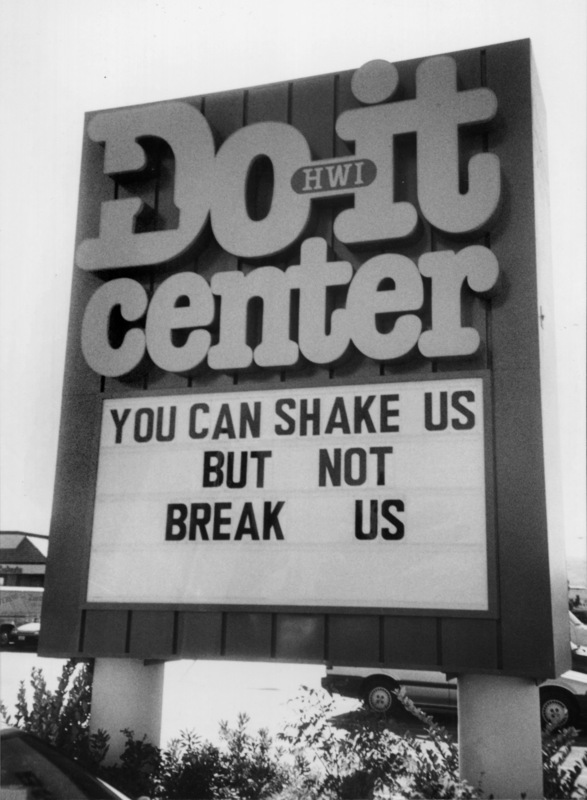 The Do-It Center lumber store at 23314 Valencia Boulevard tries to keep spirits up with its marquee sign: "You can shake us but not break us." Ironically, the Do-It Center went broke and quit the location less than 20 years later — after a competing Lowe's hardware store opened a few blocks away and a second Home Depot store opened within a three-mile radius. Do-It was previously known as Lumber City; Do-It was a rebranding, not a different company. 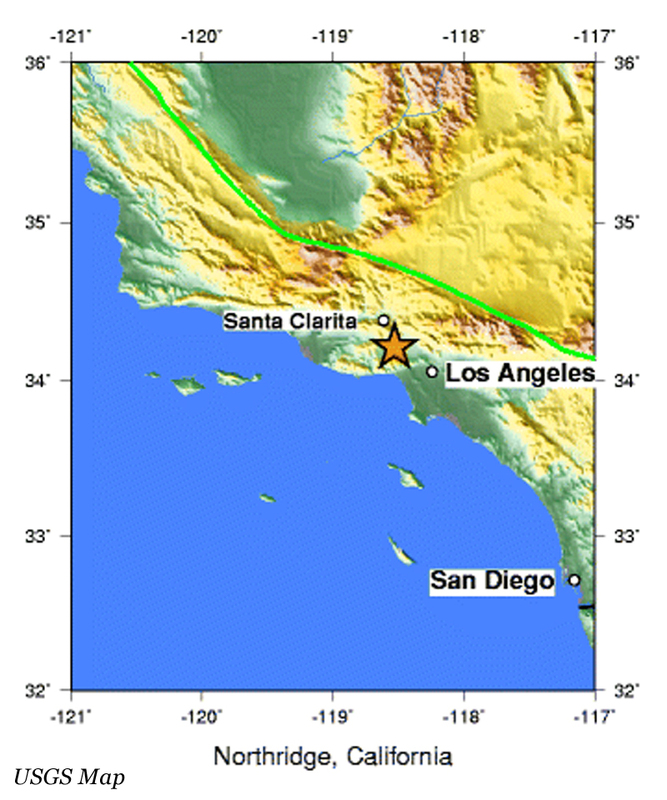 Its owner is/was Lumber City Corp., a fairly small, regional lumber store chain. LW9407: 19200 dpi jpeg from original 3½x5" photograph by Leon Worden.